Buy These Gorgeous Headbands On Discount—For R29 Readers Only! Headbands are at the top of the list for the lazy girl's must-haves — pop 'em on and your third-day blowout looks as good as new. We can't get enough of the hair helpers, and we're constantly searching for 'bands that break the mold. 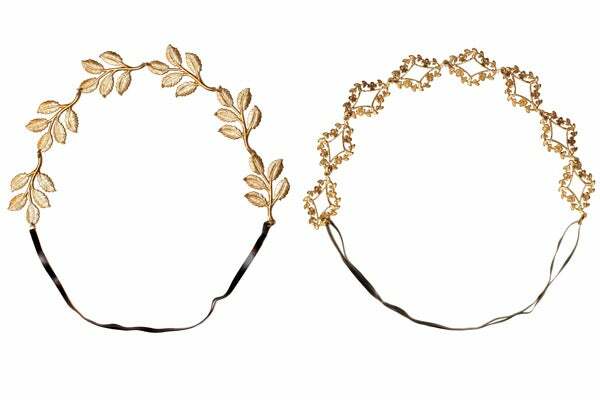 Enter Eddera — the jewelry line, designed by French-born (and NYC-residing) artist Camille, makes haute headbands — with a Aegean/Athena Goddess vibe — that are perfect for fall's color palettes. The best part? We've got an exclusive discount on two splurge-worthy pairs. Both of these bauble-filled bands (the Greek Leaf and the Ethereal) retail for $160, but we're giving them to you for 25% off — simply enter the code "Eddera25" at checkout, and voilà. Bedhead has never looked so good (and ancient Grecian).